A front-line lawyer and human rights activist, Femi Falana SAN, has faulted the decision by the suspended Chief Justice of Nigeria, Walter Onnoghen, to challenge his trial at the Code of Conduct Tribunal, in court. Falana, in an interview with Channels Television on Sunday, said that both the Executive and the Judicial arms of government have failed Nigeria. 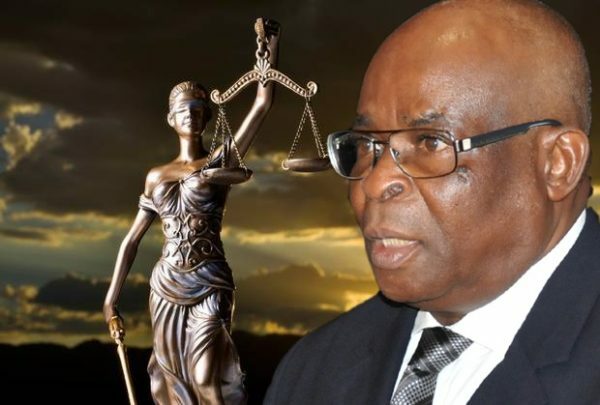 The Senior Advocate of Nigeria pointed out that Onnoghen himself had stated during the case of Senate President Bukola Saraki and the Federal Government that the CCT was the only forum empowered to try public office holders. According to him, “The judicial arm of government and the Executive arm of government have disappointed Nigerians. “Once your client is invited by the police or any law enforcement agency, what we were taught in the law school is that you can accompany your client to the police station; ask for the bail of your client. “If the bail is refused, you go to the High Court and ask for bail. “But you cannot by the invitation of your client by the law enforcement agency go to court to say, ‘thou shall not invite my client; thou shall not investigate my client; thou shall not try my client.’ It is not part of our law. “The courts’ injunctions stopping Onnoghen’s trial are wrong under our law. Because by virtue of section 303 of the administration of the Criminal Justice Act, once a trial commences, there shall be no stay of proceedings; no suspension. There’s no way, any court; anywhere; can stop a prosecution before the Code of Conduct Tribunal. “In the case of Saraki and the Federal Government, the Chief Justice of Nigeria, Onnoghen, had said that the Code of Conduct Tribunal is the only court; only forum exclusively empowered to deal with issues of code of conduct for public officers.